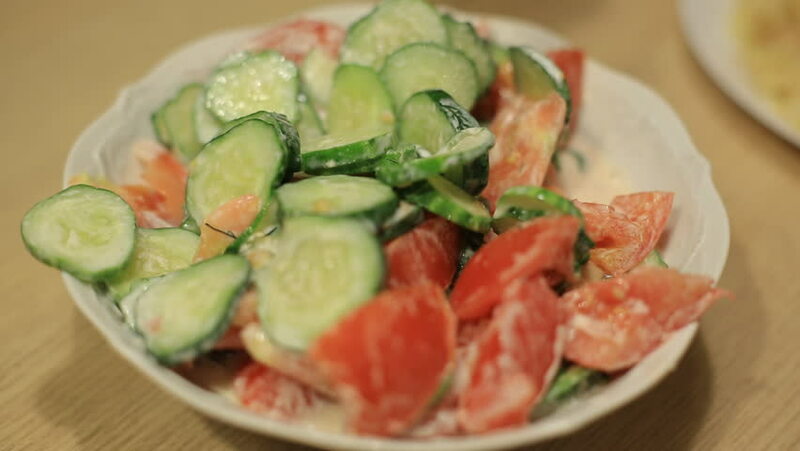 a man eats a salad of fresh cucumbers and red tomatoes with white sauce. homemade food. hd00:19Sliced quesadilla filled with cheese, chicken and pico de gallo.